Continued violence and the upsurge of non-state armed groups in the Sahel – particularly in the Liptako-Gourma border regions – saw the launch on 2 July of the G5 Sahel joint force (JF-G5S). 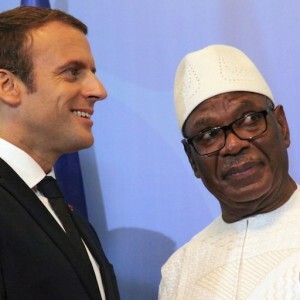 Heads of state from Burkina Faso, Mauritania, Mali, Niger and Chad, together with French President Emmanuel Macron, announced at a summit in Bamako that the new force will fight terrorism, drug trafficking and human trafficking in the Sahel. The summit followed the United Nations Security Council resolution on 21 June that welcomed the deployment of the JF-G5S. The leaders decided to start with the Liptako-Gourma border regions, covering the area between Niger, Mali and Burkina Faso, mostly because of the recent emergence of violent extremist groups in that area. The most well known of these is the Katiba Macina, which became an ally of the Ansar Dine group in March within the Group for the Support of Islam and Muslims. It operates mostly in the centre of Mali. Then there is the Ansarul Islam active mostly in the Sahel region of Burkina Faso. Finally there is the Islamic State in the Greater Sahara (ISGS), which has been responsible for attacks in Burkina Faso and Niger. Some commentators describe the insecurity in this frontier region as merely an extension of the Malian crisis. One often hears people complain about ‘the enemies from Mali’. They accuse Mali of not controlling its borders. Blame is also placed on the shoulders of Malian refugees in Burkina Faso, said to be complicit in these attacks. But there are other reasons for the geographic extent of the region’s insecurity. For example, terrorist groups grow their ranks and recruit members through exploiting local conflicts to their own advantage; national governments are unable to integrate their border regions into national political systems; and investment in these areas is weak or absent. The deteriorating security situation at the Mali-Niger border is a perfect example of a local conflict being used by terrorist groups to boost their numbers. In the early 1970s, when drought hit the Sahel, the border region saw serious tensions erupting, notably between Niger’s Fulani and the Tuareg in Mali. The conflict between these groups was mainly over scarce natural resources and accusations of cattle raiding. Following the armed rebellions of the 1990s, notably by the Tuareg on both sides of the border, violence in this area was ‘professionalised’. This led to bloody confrontations and the creation in 1997 of a Fulani self-defence militia. The inability of the security forces in the border regions to quell these uprisings dealt a serious blow to government authority in the region. These conflicts made it possible for the Movement for Unity and the Jihad in West Africa and now also the ISGS and Ansar Dine, to recruit within the Fulani community along the Niger-Mali border. In a context where social hierarchies are challenged, the emancipatory role played by groups such as the Katiba Macina or Ansarul Islam enable them to recruit young people who see joining armed groups as a way out. Meanwhile, local citizens tend to take sides and position themselves in relation to these groups with the aim of settling old scores. This is often linked to an absence of proper judicial systems, and to competition over natural resources. The Liptako-Gourma states’ inability to integrate these border regions into their national policies has led to the rejection of state authority. In Burkina Faso, for example, successive operations by security forces in the Sahel have increased tensions between locals and the central government. These operations are often carried out with undue force against locals accused of complicity with the armed groups. Here, and elsewhere in the border regions, inhabitants also feel neglected by the state due to a lack of services and infrastructure. At the same time, civil servants suffer from a lack of capacity to carry out their duties. The challenge is for states to get support from people in the border regions, keeping in mind that this means improving governance, not just controlling these spaces. The various initiatives under way in the Liptako-Gourma region, such as Burkina Faso’s emergency programme for the Sahel and Mali’s plan for securing the central part of the country, are steps in the right direction. But to have any political impact, these plans must be based on a long-term vision for the border regions and not just a stop-gap measure to address the current situation. Furthermore, states must invest in proper development programmes that will make a difference on the ground. Merely launching schemes to fight organised crime won’t be enough. The fact is that these areas – so far away from the capitals – are used as thoroughfares for trafficking and locals are compelled to adapt to this state of affairs. While the Bamako summit and the JF-G5S are important, collective action shouldn’t obscure the need for national efforts, particularly regarding governance. This can only be done through a new social contract between communities and the state. Governments must restore their relevance by providing basic services adapted to the diversity of this region, which is populated by both nomads and pastoralists.